A precision-designed tweezer for accurate plucking. The Salon System Marvelbrow Slanted Tweezer is a durable stainless-steel tool that's essential for any stylist or beautician dealing with their clients' brows. 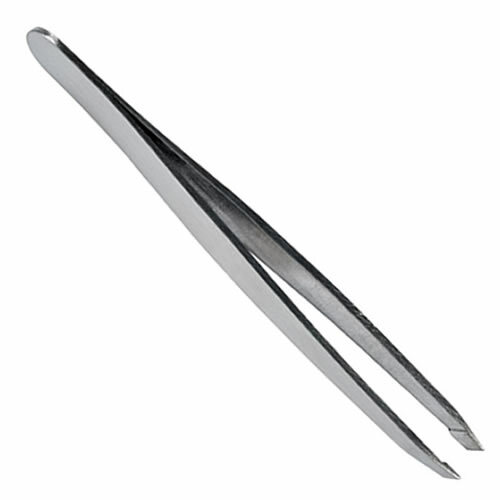 The tweezer's slanted tip aids precision work when plucking hairs. Tremendous Russian 3D fans lash extensions that add volume instantly, and can be combined with Marvel-Lash B Curl extensions for fantastic eyelash creations. Pack contains assorted lengths: 8, 9, 10, 11 and 12 mm. Lightweight lash extensions for Russian volume lashes with adhesive, peel-off strips for speed and ease of use. Available in 3 sizes: 0.07 (Extra Fine), 0.05 (Ultra Fine) or 0.20 (Volume). In comparison with the Detailers it's very close. Blades are the same and power feels similar, both being quite powerful. The wire however is much more substantial and doesn't tangle the same which is a huge plus- the main fault with the detailers. The Hero's are incredibly light and also even smaller than my detailers however the casing bulges out which does get in the way a little bit as a pose to the detailers are the opposite, as they groove in. They look really nice and are overall a great trimmer. If it wasn't for the casing sticking out I couldn't fault them but the wire is a major positive.